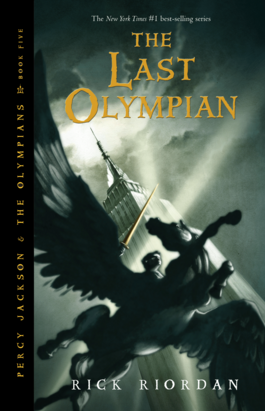 Rick Riordan has done it again. Once again Rick Riordan writes a killer Percy Jackson Tale. If you have read the beginning to this great series, it is about time you read the end. As soon as this story was open to the public it started sweeping the charts. Reviews rave about this great book. If you're an avid reader your probably thinking," only 375 pages?" And you would be right. If you read this book and are just hungry for more then go after the other two series. If you decided to skip the first series no matter, you are still able to ease right into this book. With plenty of background provided into the first two or three chapters you could get by without even reading the first three books.